Professor Sir John Ernest Walker is an English chemist who won the Nobel Prize in Chemistry in 1997. 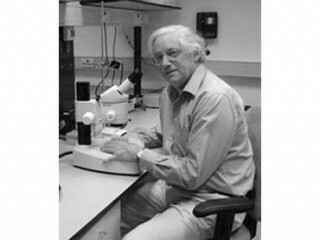 He is currently the director of the MRC Mitochondrial Biology Unit (formerly the Dunn Human Nutrition Unit) in Cambridge, and a Fellow of Sidney Sussex College. He was born in Halifax, Yorkshire, the son of Thomas Ernest Walker, a stonemason, and Elsie Lawton, an amateur musician. He was brought up with his two younger sisters in a rural environment and went to Rastrick Grammar School. At school, he was a keen sportsman and specialized in physical sciences and mathematics the last three years. He received a B.A. degree from St Catherine's College, Oxford. English chemist John E. Walker studied the structural composition of adenosine triphosphate (ATP), a molecule that transports energy in cells. He and his team at the UK's Medical Research Council spent more than 15 years analyzing this enzyme, adapting chemical and x-ray methodology to this work, and their results, published in 1994, provide a molecular framework for the more theoretical work of the American chemist Paul D. Boyer. Walker, Boyer, and Danish scientist Jens C. Skou shared the 1997 Nobel Prize for Chemistry. He has also studied human nutritional processes and proteomics, the branch of genetics that studies the full set of proteins encoded by a genome. View the full website biography of John E. Walker.